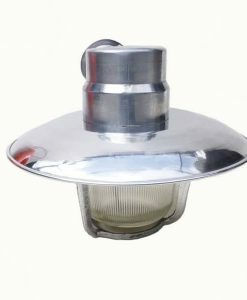 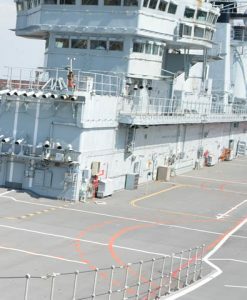 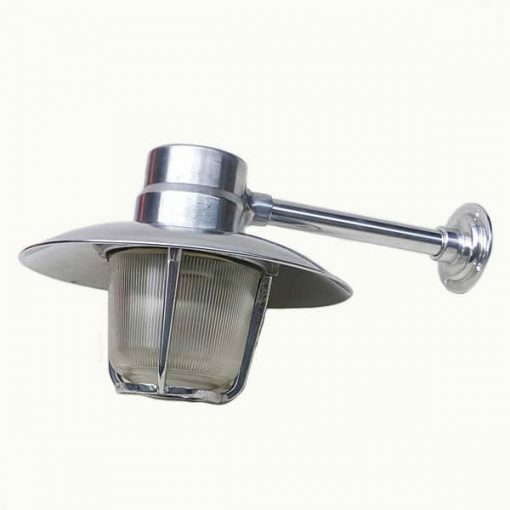 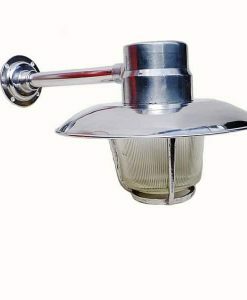 GDR Aluminium Ships Passage Light , aluminium shade & ribbed glass. 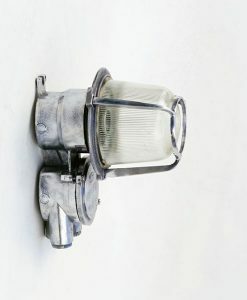 I found these very cool lights attached to the walls and ceilings of the passage-ways of a fleet of similar ships that were run up the beach last year and I was very happy to buy them & bring them home. 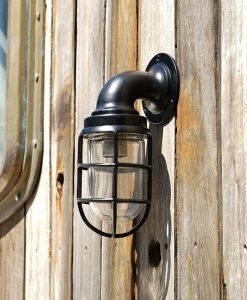 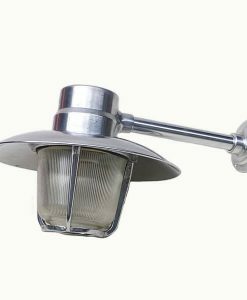 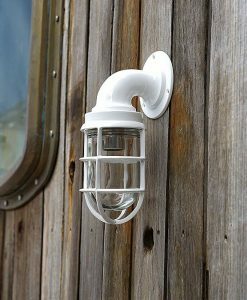 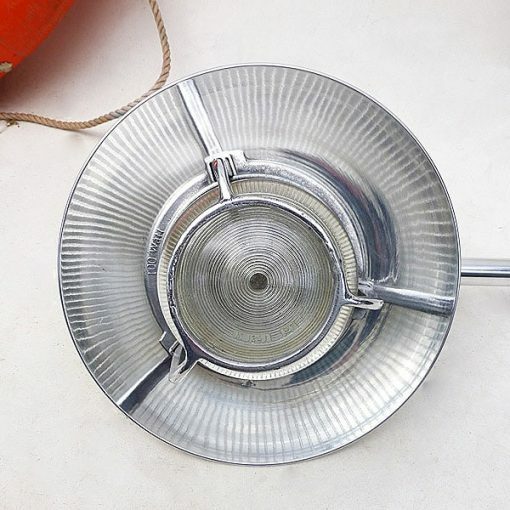 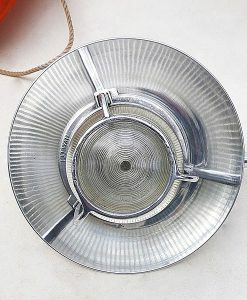 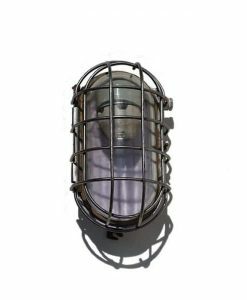 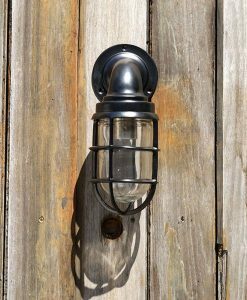 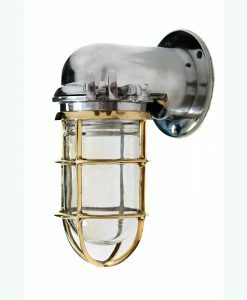 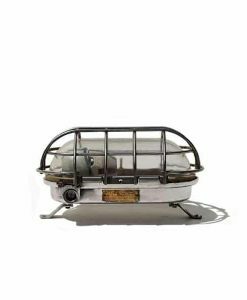 In my opinion these lights sum up our ‘Marine Industrial’ lighting range; big in character, high in quality, very useful quantities and our infamously low price. 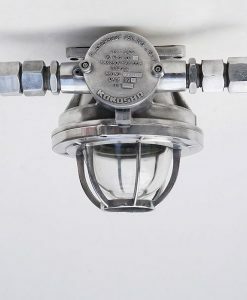 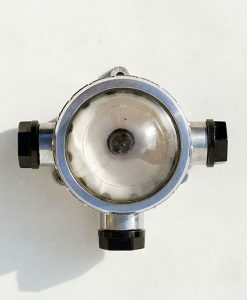 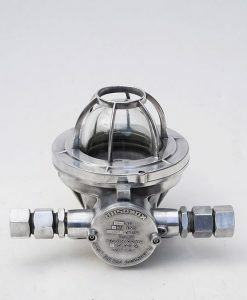 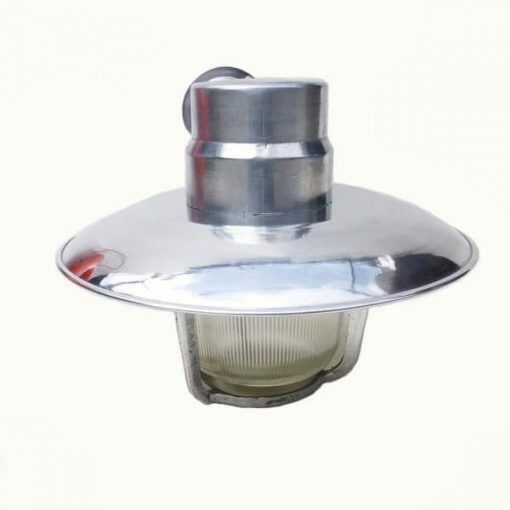 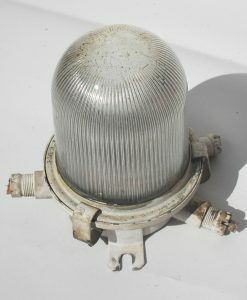 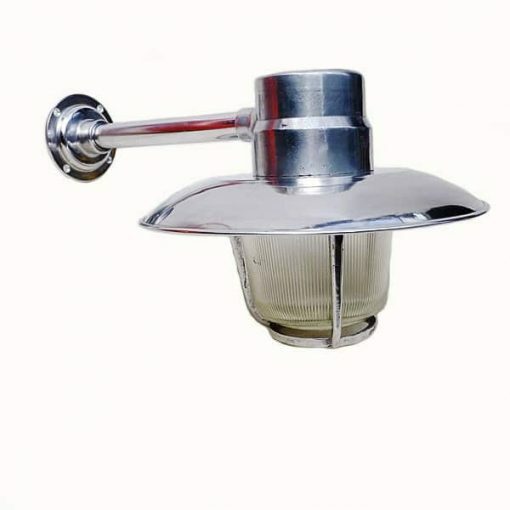 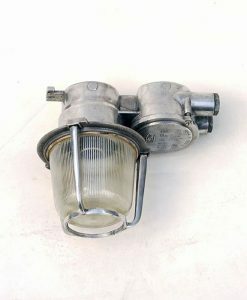 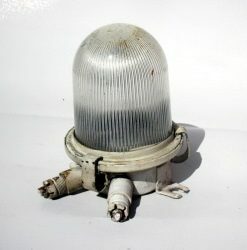 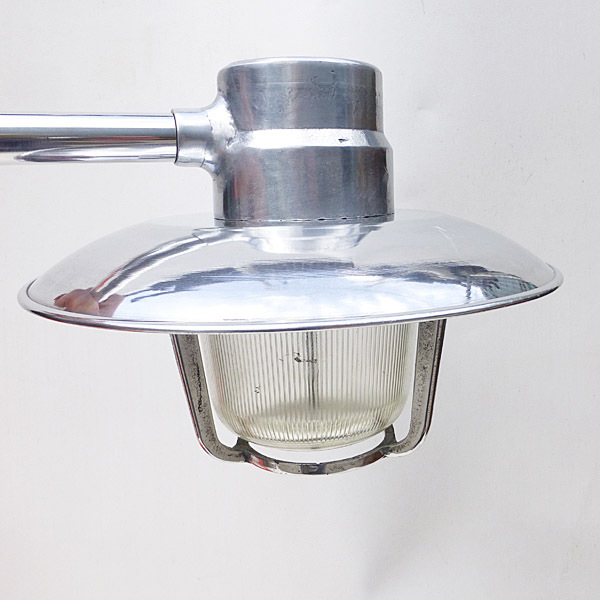 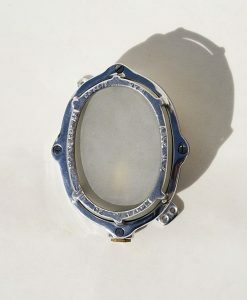 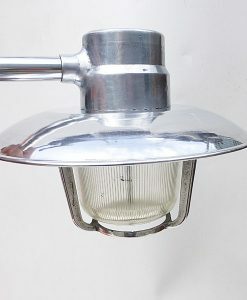 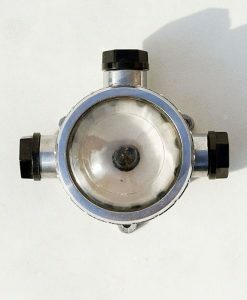 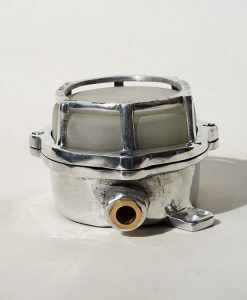 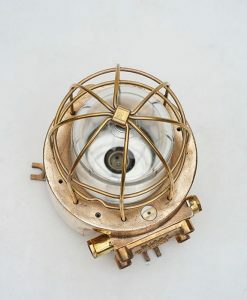 Fittings – The light comes with its original fitting inside which, in this case, is over adequate for the UK. 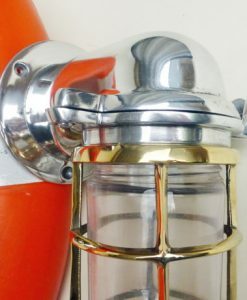 Conversion to any other type of illumination is simple, the beauty of ships lights is that they are designed to be easy to maintain & adapt. 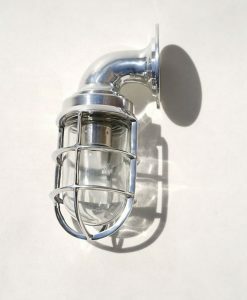 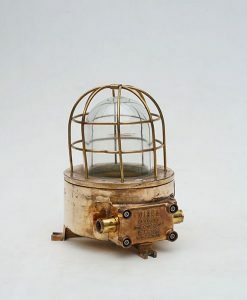 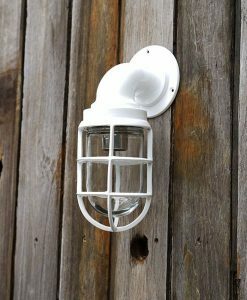 Replacement of the bulb is a very simple, the glass and cage simply spins off the light to reveal the fitting. 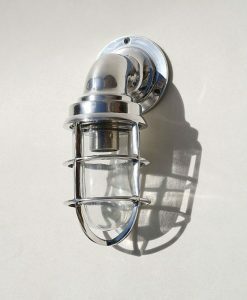 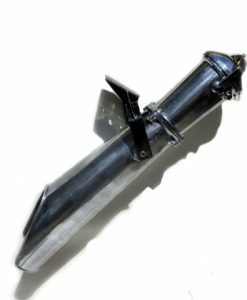 43cm max from wall x 23cm height x 30 dia shade.